I have a garden. It’s small – an L-shaped raised bed built with heavy stones. In it I have a few tomato plants, basil, thyme, parsley, chives, and lemongrass. There’s also an abundance of mums; they come back every year and explode with burgundy, gold, and white in the autumn. Just next to the wall is my terracotta strawberry planter, perched atop a pedestal of chubby cherubs. It’s about as idyllic as my corner of the world gets. This is the first year I’ve really been able to dote over my plants. I recently handed in the last edits of my memoir, so time – for a little while, at least – is mine again (I even used old drafts of my memoir as weed guard). But paying attention comes with a certain degree of… noticing. How ants cluster and teem along the stone wall whenever I water the plants. How on hot days, even before a leaf begins to wilt, it’s shiny luster goes dull. How my cat likes to sleep in the cool dirt next to the tomatoes. 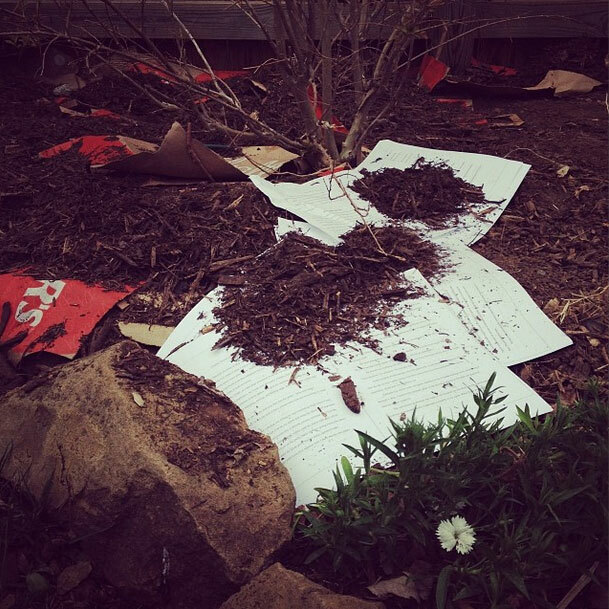 And how the plant eventually grows bushy enough that he must retreat to the cement slab under my car, instead. With noticing comes awareness, and with awareness comes concern; inevitably, tending over my garden during this growing season has become an exercise in fretting. I fret about odd fruit shapes, like the pinched one above (will it be delicious?). Or about soil acidity (does it matter?). 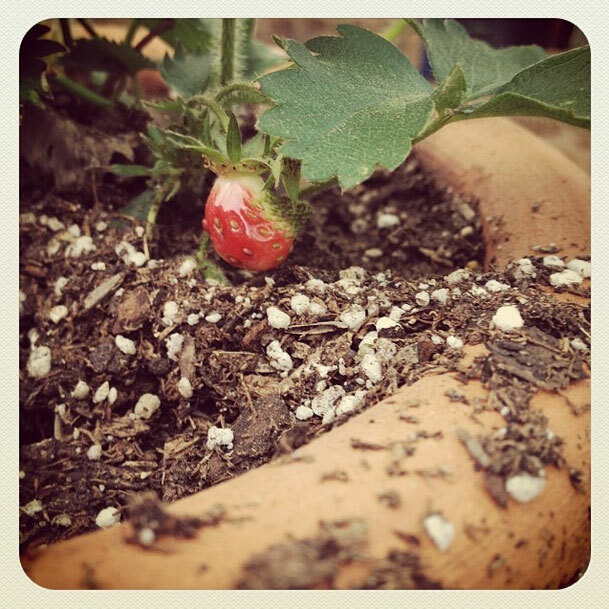 Most recently, we had to cover the strawberry planter with netting to keep squirrels away from the blushing fruit. Keith actually caught squirrel on its hind legs tearing a three-inch opening into our netting so it could eat the ripe berries. Though he should be commended for his industrious, dedicated spirit, the squirrel did not get his strawberry. But tomorrow is a new opportunity to enjoy the fruits of our labor. The questions remains: will it be us, or the squirrel who takes the first bite? The good people of the Philippines understand the importance of the harvest – this precarious labor of love that ultimately flourishes and nourishes or succumbs to the weather and peckish animals alike. There are multiple harvest festivals throughout the growing season. 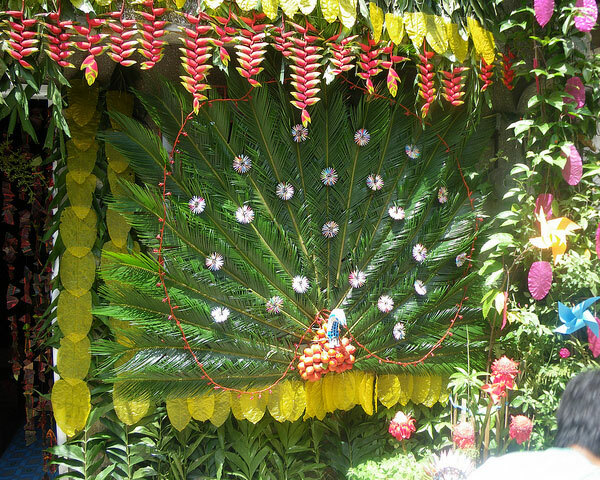 This week is one the biggest festivals: Pahiyas. As far back as the 1500’s, Filipino farmers have been celebrating Pahiyas by setting out the season’s bounty to be blessed during a festive procession that honored San Isidro Labrador, the patron saint of farmers. Over time, homeowners’ decorations became increasingly elaborate. 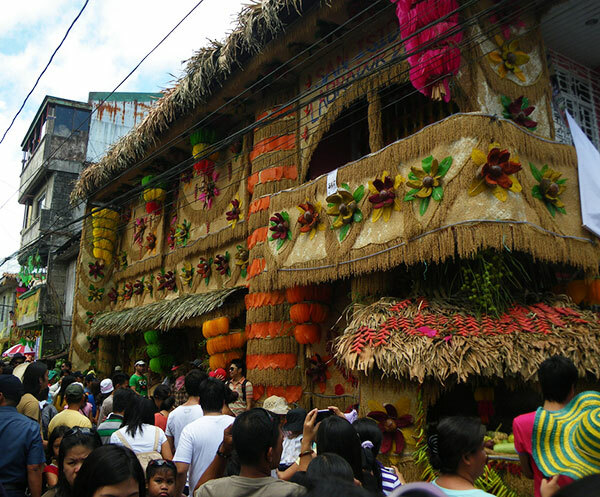 Today, houses bedazzled with fruits, vegetables, and petal-shaped rice wafers called “kiping” are just a few of the sights you’ll see in Lucban, Philippines in May. Decorated house photo by Bibliosensei. Kiping photo by Andy Nelson. What’s the story with Kiping? A couple of men from Lucban, Philippines went to Mexico for a trip in 1734 and discovered tacos. I can only assume it was love at first bite because when they got home one of the men, Juan Suarez, tried to make tacos from locally available ingredients. What he ultimately came up with was kiping. The flat petals are made from a fairly liquid rice paste which is dyed vivid pinks, yellows, and greens, then poured over banana leaves and steamed. They are then pressed, dried, and strung together in flowers or, more commonly, a large chandelier of sorts that looks to me like an enormous cluster of bananas. 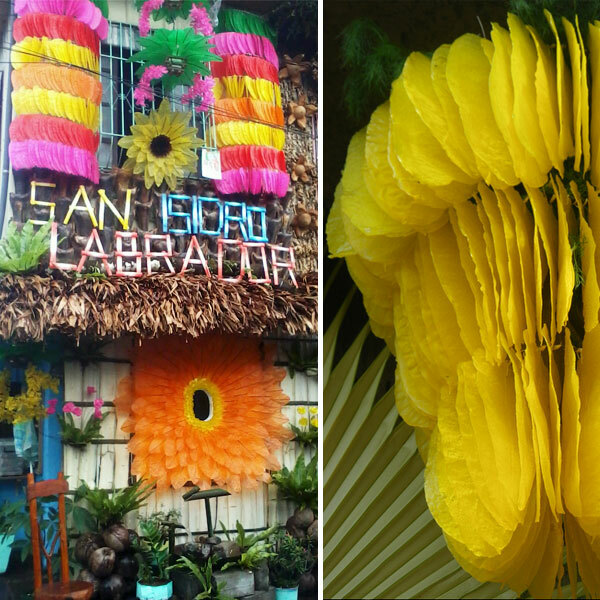 These decorations line the streets during Pahiyas. 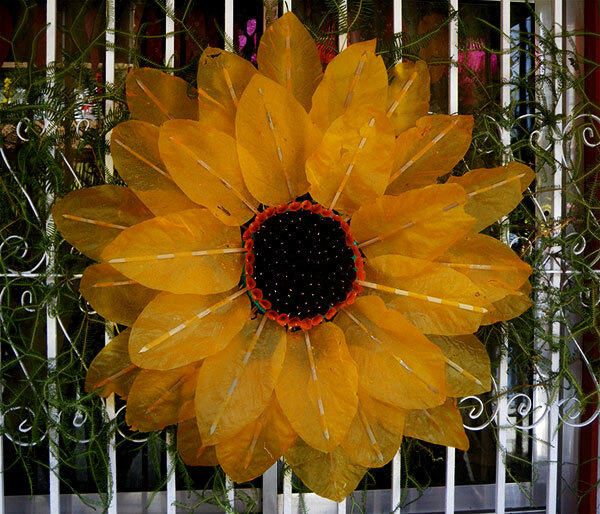 Here’s much more detail on how to make Pahiyas. Harvest festivals typically celebrate the foods most important to the culture. 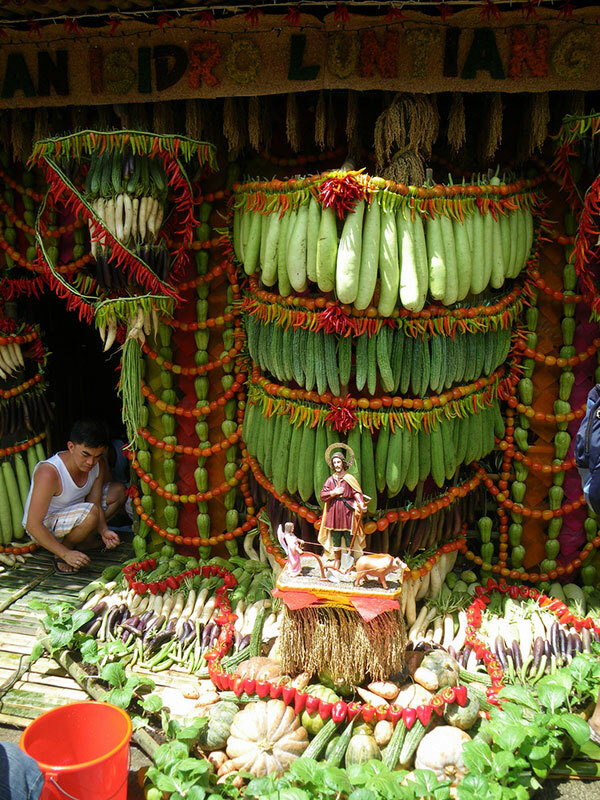 So rice (and rice paste decorations) make total sense for a Filipino harvest festival, as do the piles of fresh produce, including eggplant, cucumbers, chayote, and other gourds that grow abundantly. 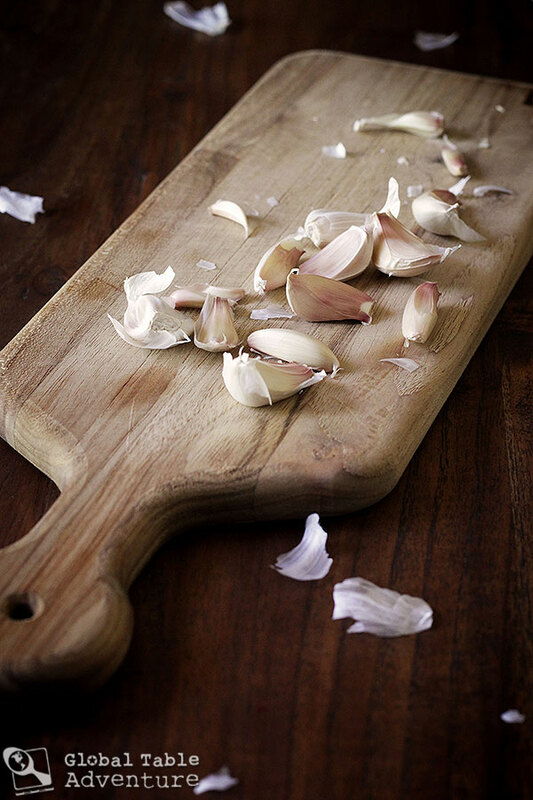 If you’ve ever cooked Filipino food, you’ll also know this: yet another beloved crop of the Philippines is garlic, with a side of garlic, topped off with more garlic. In light of the popularity of both rice and garlic in the Philippines, it seemed logical to me to do a quick garlic rice. Best of all, it’s a quick stir-fry and great way to use up leftovers. After you eat your bowl? Don’t even bother with a mint; it won’t help. Instead, pile on grilled, stewed, and braised veggies or meats. The heartier the better. 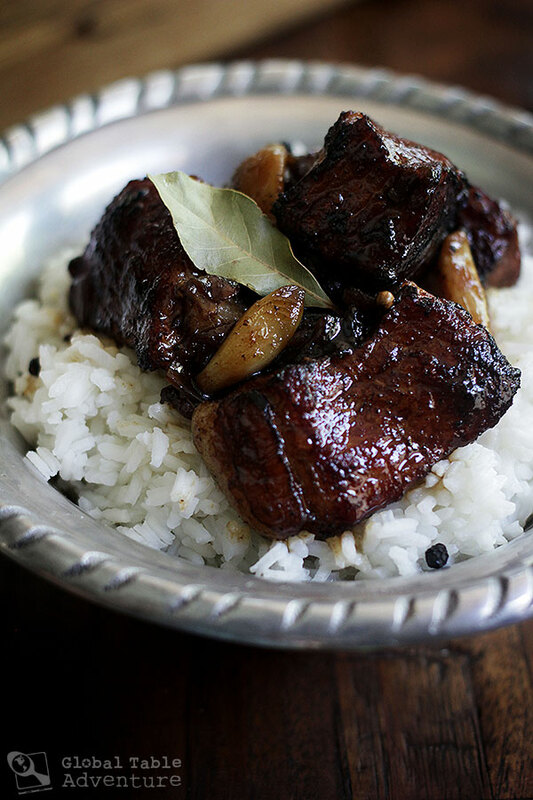 If you’re wondering if Pork Adobo would be too much garlic, you’re asking the wrong question. There’s never too much garlic. Not in my bowl. 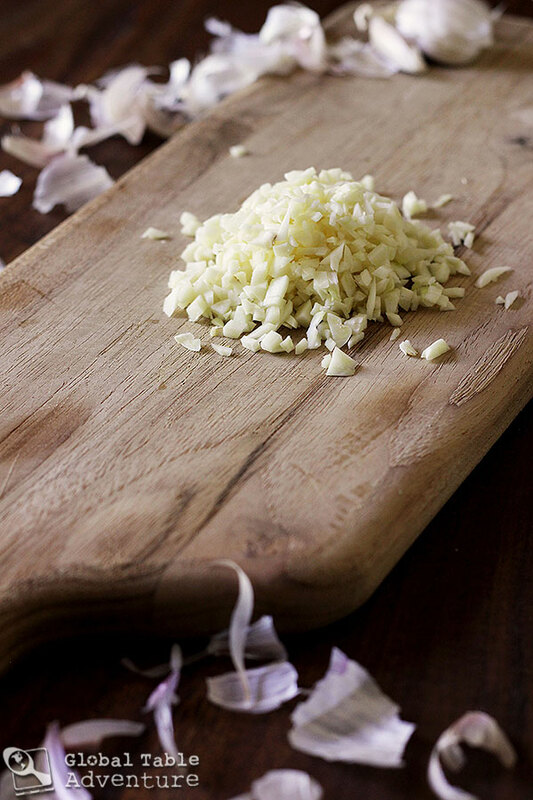 Chop, chop, chop your way through a mountain of garlic. 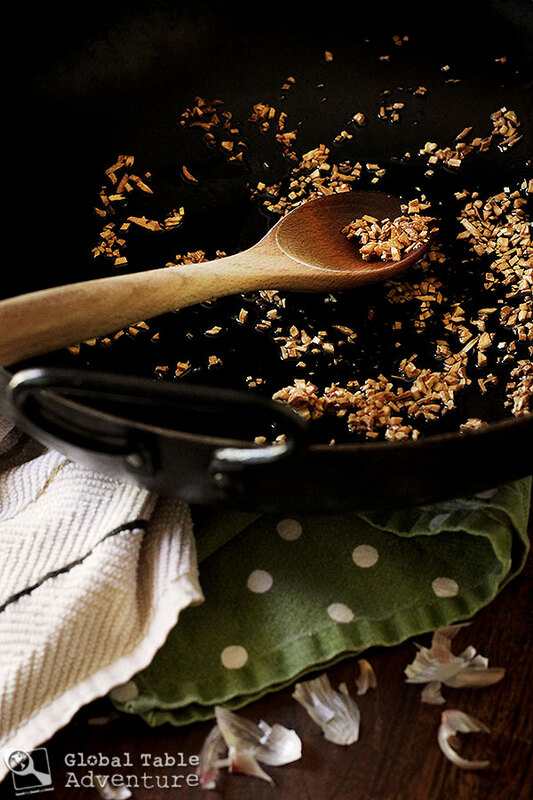 Heat the oil in a wok over medium heat. Toast the garlic until light golden brown. The key is to get it crispy, but not too dark or it will taste burnt. Reserve about a tablespoon for garnish. 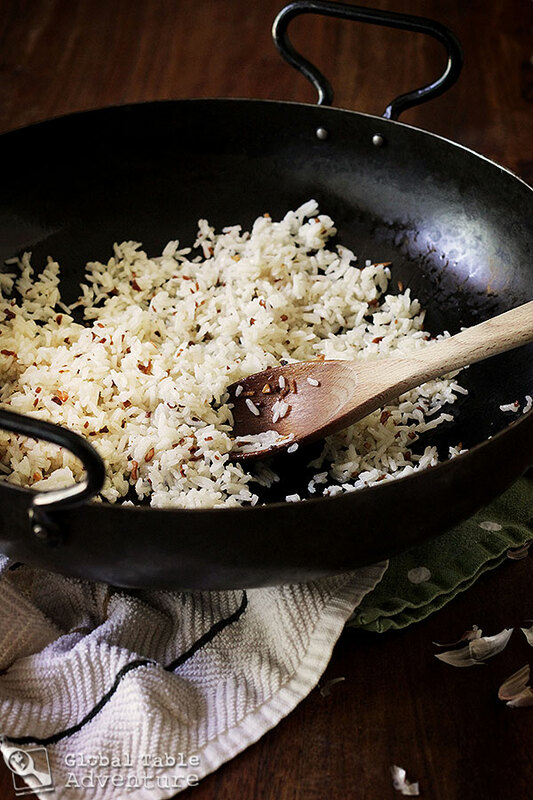 Add the cooked rice and increase heat to high and cook until hot. Peacock. Photo by Andy Nelson. Any harvest you’re particularly looking forward to? 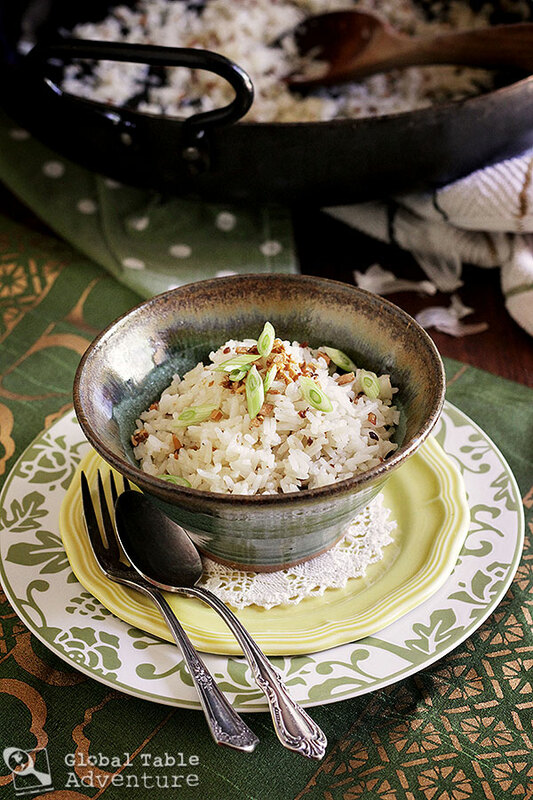 In light of the popularity of both rice and garlic in the Philippines, it seemed logical to me to do a quick garlic rice. Best of all, it's a quick stir-fry and great way to use up leftovers. 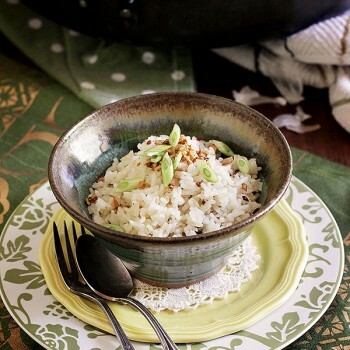 Garnish with green onion and enjoy. I just made for the second time, Pancit Filipino Pasta. This is now my favorite pasta dish. Delish! Previous Post13 funny kids from all over the world, plus the food they eat. Next Post18 Meaningful DIY Gifts for as little as $1.22 each for teachers, friends, & more!